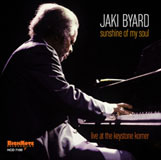 Jaki Byard is one of only a few jazz musicians who can play comfortably in virtually any style. This has made him a valuable sideman for players as diverse as Maynard Ferguson and Charles Mingus, but has rendered his work as a leader as a tad all over the map, lacking any guiding force to tie the disparate elements together. Lacking a sense of focus, his solo work seems like a man trying to fit all his clothes into a carry-on bag. 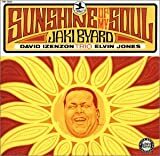 Occasionally though, Byard is able to make everything work throughout an entire album and the results are always amazing; he can pack more into one song than many of his peers can accomplish in an entire session. This is best shown on Sunshine of My Soul, which easily ranks as among the pianist’s best work. This is largely due to the crack rhythm section of Izenzon and Jones, who can follow Byard on any path he might choose to wander without getting in a tangle. Izenzon, in one of his few recorded performances in a brief career, displays a knack for fidgety bass lines and smooth bowed passages, sharing with Jones a skill at avoiding the obvious and a penchant for avoiding the beat. Both have the devilish task of following Byard’s piano adventures, which range from free jazz excursions like “Trendsition Zildjian” to a fractured reworking of “St. Louis Blues”. Nothing stays in the same place for long, as if Byard is afraid to be associated with any style and for once, this work’s to his advantage; stride passages sit comfortably next to more modern shades, with Izenzon and Jones helping immeasurably to keep the flow. “St. Louis Blues” is a good example of what the group is up to; a relatively conventional head is juxtaposed with thundering tympani and bowed bass dive-bombs. This is about as coherent as a Byard album gets. Even the freest moments are as jarring as one might expect. Exemplifying one of jazz’s oddballs, this remains one of Byard’s most interesting and accomplished musical puzzles. Track Listing: Sunshine, Cast Away, Chandra, St. Louis Blues, Diane's Melody, Trendsition Zildjian. 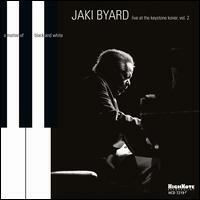 Personnel: Jaki Byard-piano,guitar; David Izenzon-bass; Elvin Jones-drums, tympani.